Your child deserves the best financial support possible so they can lead a successful, productive and happy life. As an attorney who routinely assists parents in family court in Cherokee county and the surrounding communities in Oklahoma, that’s what I want as well. As an aggressive, knowledgeable but understanding Tahlequah child support attorney, I know what the courts look for when making modifications to the support agreement. You need a trusted ally on your side to make sure you get what is due to you and your child. If you’re not receiving payments from your ex-spouse, we know what to do to make sure the courts understand your hardships. My office can also help you if you are struggling to make your current child support payments because your financial situation changed. Additionally, if you need to make changes in your child custody agreement, our Tahlequah office can help you . The family law courts in Oklahoma that handle child support cases make their decisions based on one important factor — your child. They seek to make sure their decisions are in the best interest of the child. As a Tahlequah child support attorney, I know there are a few areas the courts look at right away when calculating child support. These include the parent’s gross income, savings and property. The judge will determine how much child support the non-custodial parent will need to contribute for medical care, child care and other expenses. 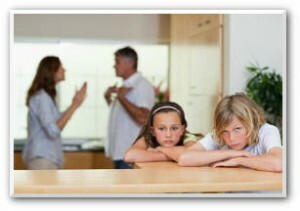 As a Cherokee County child custody attorney I know what the court evaluates when it comes to make its decisions. Child Support Ends at 18? A question I often hear from parents who are trying to understand Oklahoma divorce laws is “Does child support end when my child turns 18?” The answer is no; child support in Tahlequah sometimes does not end at age 18. Here’s why: Oklahoma divorce law statutes state that children with disabilities are entitled to longer financial assistance. If the family court finds the child needs substantial care and personal supervision because of a mental or physical disability, child support can continue for a longer period of time. Otherwise, the child shall be entitled to support by the parents until the child graduates from high school or until the age of twenty (20) years, whichever occurs first. For a free and confidential consultation with a Tahlequah child support attorney call the Wirth Law Office – Tahlequah at (918) 458-2677 or toll free at (888) 447-7262. Or, if you prefer e-mail, you may enter a legal question in the form at the top right of this page and we’ll reach you by e-mail as soon as possible.